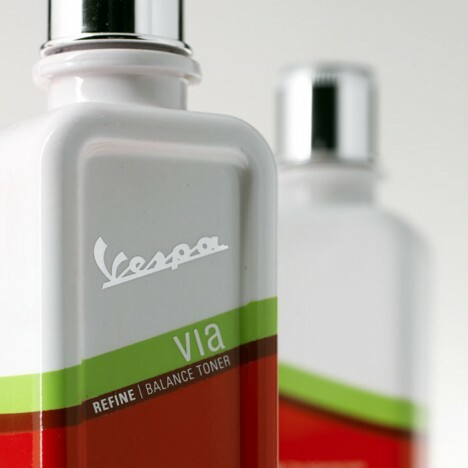 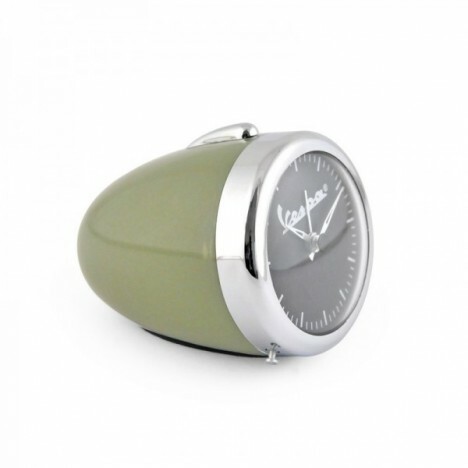 The iconic shape of the Vespa’s headlamp is instantly recognizable even when it’s being used for the base of an alarm clock, like this one from That’s Italia. 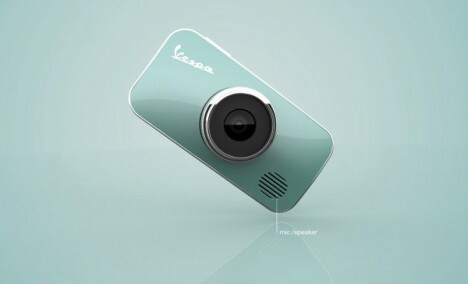 Alas, this stylish phone case fitted with a camera lens is only a concept, and won’t be for sale anytime soon. 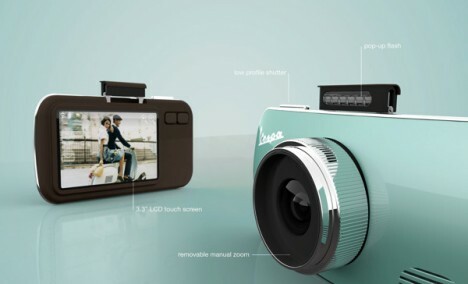 The case brings both Vespa style and the look of a vintage camera to your comparatively boring smartphone. 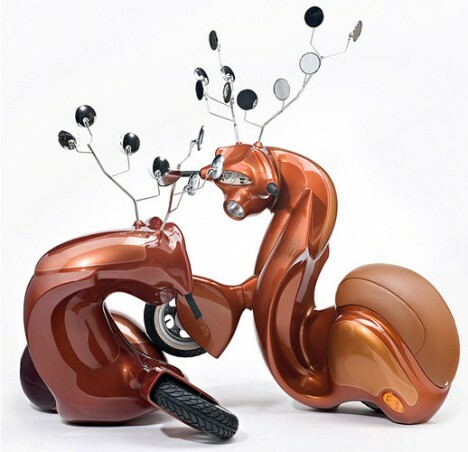 Patricia Piccinnini, the artist best known for her disturbingly realistic fleshy creatures made of silicone, extends her uncanny ability to invent fantastical creatures to the automotive realm with this series of sculptures. 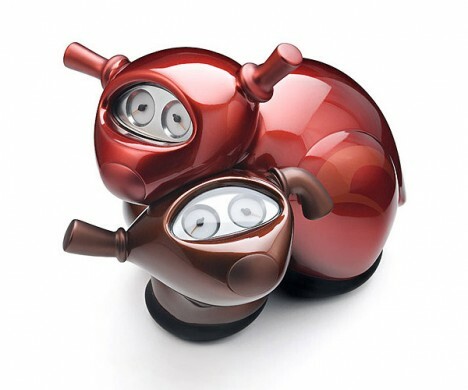 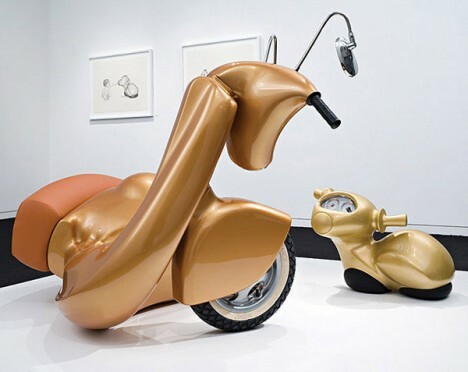 Using the Vespa style as a base, the artist crafted a series of creatures that are somewhere between animal and motorcycle. 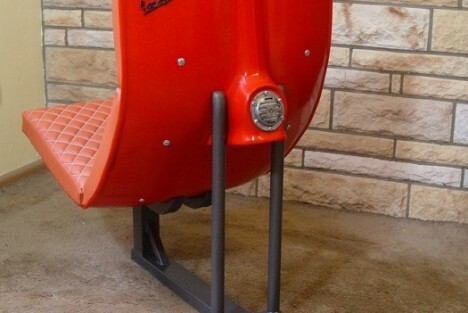 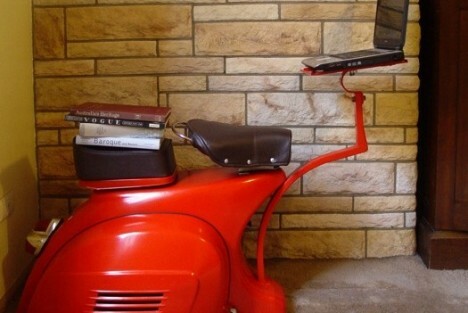 A 1968 Vespa salvaged from the junkyard becomes an awesome piece of customized furniture in the hands of designer David Giametta. 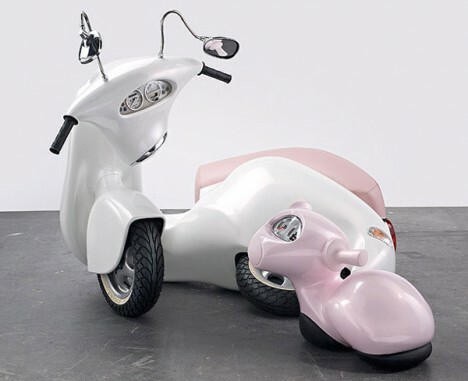 The ‘Reinventing a Vespa’ project uses old versions of the motorcycle that can’t keep up with modern emissions laws as the basis of midcentury modern-style products.